Setting up a product specific coupon is easy. You will need to use Mal's discount coupon feature to get it to work. Mals gives you the option to create coupons that apply only to certain products. These coupons require the use of the "scode" variable in the Mals cart. both refer to the product with an ID of 34. In Mals, select the 'Discount coupons' from the 'Discounts' tab under 'Cart setup'. Under "The discount is applied if the order contains a product with an SKU (scode)...", select "Begins with *", and then enter the product ID (from step 5) - along with a dash - into the SKU (scode) field. ie.) In the above example, you would add "34-" (without the quotes). Add the rest of the coupon as desired. 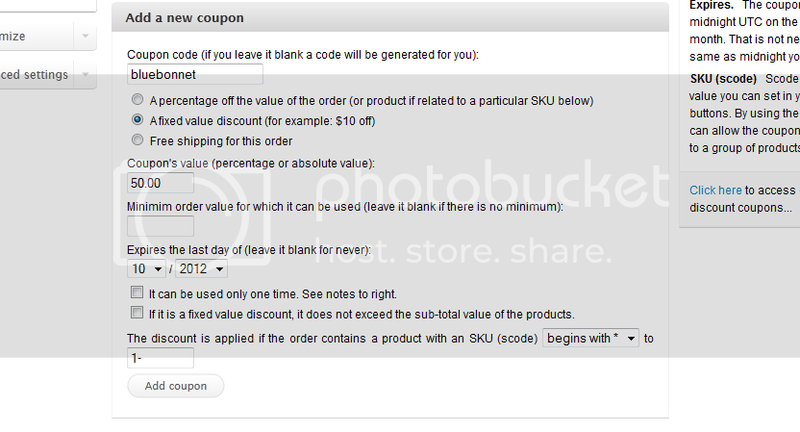 You can also choose to set up product specific coupons that excludes certain products from the coupon being applied. You will find these options on the Mals coupon code creation page. 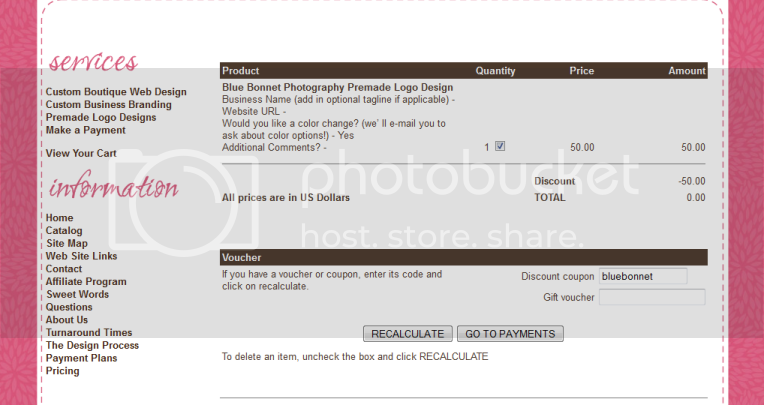 In this example, I am going to set up a coupon to make the premade logo design "blue bonnet" free. This coupon will only work for the product specified and no others. My product ID is 1 (the example above talks about product ID 34). Which payment processors can I use with my Bizzy Boutique online store?